Your $450 will get you that Core m3 CPU paired with four gigs of RAM, plus 64 gigs of storage. It sports a folding design complete with a touchscreen and built-in stylus (the kind with a clicky button on the end you can fidget with). 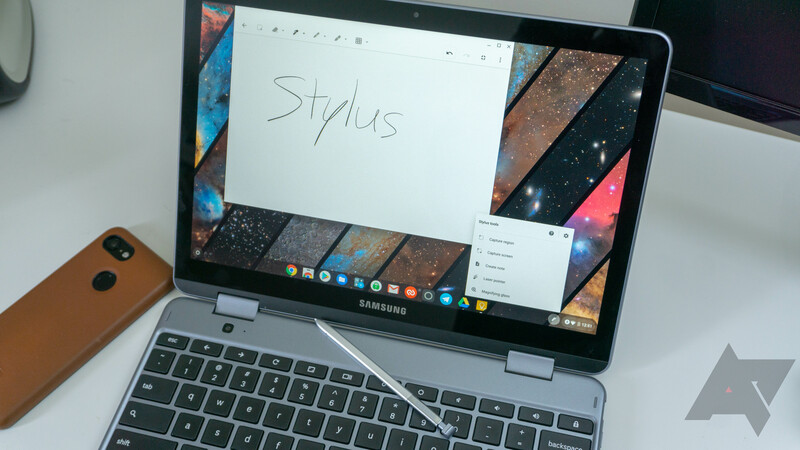 This is the refreshed model, which has a lower-resolution screen than the original Samsung Chromebook Plus — but with fewer pixels to push around, performance and battery life are stronger. Unlike the last time we saw the Plus on sale, only the Core m3 model is discounted. That's the better one anyway, though — the cheaper model comes with a Celeron processor. Head to Amazon to pick yours up.